Let cold water trickle from the faucets in your home. Keep garage doors closed, especially if you have water supply lines in the garage. Open kitchen and bathroom cabinets to allow warm air to reach the plumbing (be sure to move any cleaners or chemicals out of the reach of children and pets). Keep your thermostat set to a warm temperature. If you’re leaving town, set it to no lower than 65 degrees. Wrapping freezing pipes with thermostatically controlled heat tape (from $50 to $200, depending on length) is also an effective way to quickly thaw a trouble spot. If you will be traveling, consider shutting off your water supply at your home’s main valve. Be sure to drain your pipes by turning on your faucets. 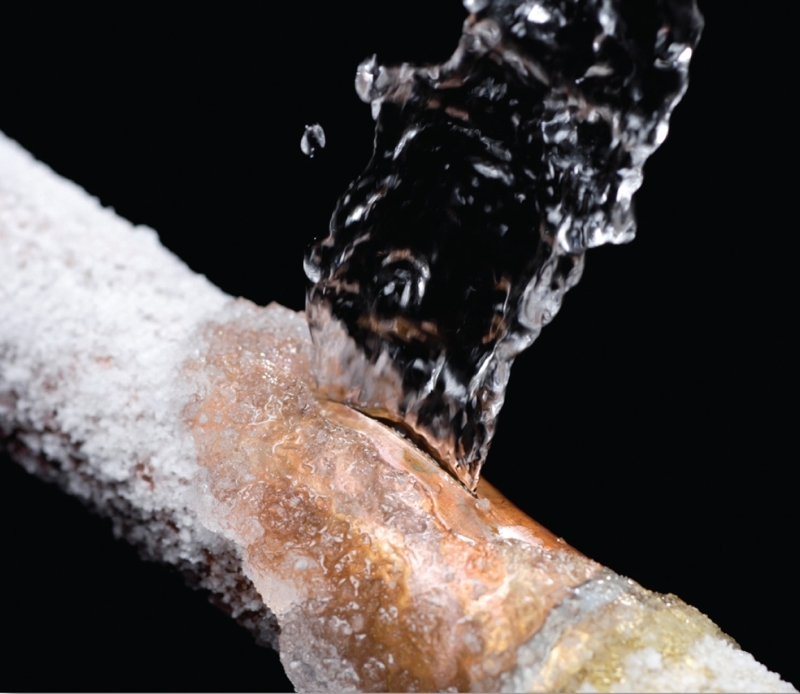 If your pipes freeze: turn on the taps, try to warm the affected area with a hair dryer and call a plumber. If you experience a burst pipe: immediately shut off the water at your home’s main valve. It’s a good idea to locate this valve ahead of time.